I’m a Twit(terer) but did you know that the L.A. Fire Department is, too? If you look over to the right under the Lijit widget, you’ll see that I use Twitter. It’s addictive. At first I thought it was stupid. Now I’m having simplex "conversations" with myself and others(?) that are strangely satisfying. If you don’t happen to know what Twitter is, it’s basically a "micro-blogging" (ugh) social-networking site. Read more about it here. If you were so inclined, you can feel free to bore yourself to tears by tapping into the ever-exciting neartime log of my activities — only to discover that all I do is eat and sit in airports. Thrilling. However, as I was browsing the Twitter site today, I found that the L.A. Fire Department actually logs (all?) its calls to Twitter — it’s the web-based version of sitting in front of a scanner and listening to dispatch. They also maintain a blog. Imagine if the LAPD did the same…now that would be "fun." Scoble covered this back in July and unfortunately I didn’t happen to see it at the time. This got me thinking about not only how interesting this is to those whose hobby in the analog world is following the LAFD’s actions and this obviously unique particular application for information dispersal and broadcast of information from and to these first responders as an alert/emergency service, but also that of potential applications in the DoD space. I’m readying another post regarding some of the impacts that Web2.x and various collaboration and interactive technologies have had on the modern warfighter, but thus really struck me as interesting. With some of the various visualization tools coming to bear (Twitter is introducing one) one could take human-generated as well as automated feeds of unstructured, yet contextual theater updates (in addition to more structured data such as engagement, position, movement, number, etc.) and parse/visualize activity over time to arrive at some very interesting data points. More on that later, but noddle on it. Back to the LAFD’s Twitter and why I’m bringing this up on my "security" blog…while it appears that these logs are public record, check out the information you can glean from these entries — they appear to be unparsed. Is anyone else concerned by the privacy implications of including personal information as part of these feeds…esp. when paired with the types of activities profiled in the abstracts? Cisco & Trend Micro: Friends, Lovers or Still Contemplating the 29 Dimensions of Compatibility on eHarmony.com? I found this story (below) regarding the apparent renewal of vows between Cisco and Trend interesting because of what is perceived by many as somewhat of a strange on-going dating relationship between the two companies. Some might suggest that over the last few years, with Trend’s inclusion as the A/V function of choice across many Cisco platforms and the NAC partnership, etc., that TM was looking to ultimately get bought by Cisco. It certainly appeared that way to me. Perhaps the dowry was just too great, but it certainly looked like Cisco decided that monogamy wasn’t in the cards. When Cisco acquired IronPort, many felt that while they were specifically focused on messaging security, that the technology would be leveraged heavily across Cisco’s product lines and the Trend partnership would eventually wane. It’s interesting to try and reconcile the commonalities between the two company’s product offerings. On the surface, they both claim to do similar sets of things — even down to the reputation services elements of their products. enterprises of all sizes. More. IronPort S-Series™ is the industry’s fastest Web security appliance. administration and complete visibility into threat-related activity. More. …and yet exclusing the desktop reach, it’s almost identical to what Trend Micro suggests they bring to the party. So if IronPort was supposed to be the content security play for Cisco, does this mean that their adaptabilty beyond messaging was either never in the cards or just isn’t panning out as quickly as was hoped? Specific activity in the Channel from Trend certainly seemed to imply there was a wave of panic regarding the long strategic partnership between the two companies after the acquisition and it was unclear how Trend might proceed should the couple "become friends" instead of lovers. That’s not to say that Trend isn’t a healthy company, but there was, and is, a lot riding on this relationship. 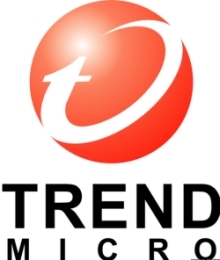 to its routers via an extended partnership with Trend Micro. Russell, senior director of Cisco’s Security Technology Group. The new offering, which will be available "in the near future,"
out to remote locations, he added. MARS (Mitigation, Analysis and Response System) platform. Interesting, eh? The ASA’s were looking like the beginning of a UTM platform of choice for Cisco, but given the popularity of the ISR and the integration of certain WAN/Branch Office functionality (not to mention install base,) this makes sense. So we’re back to figuring out where the intersection of IronPort and Trend lays. It certainly seems that this announcement sees the happy couple holding hands again and leaves me more confused about IronPort in the long term now instead of Trend. I also seem to recall that IronPort utilized Sophos’ AV engine…perhaps that will/has changed? I continue to go to shows where the IronPort brand (and booth) is still separate from Cisco’s and the IronPort website is still brand discrete (albeit with a "…part of Cisco" graphic) which is a little odd. I thought IronPort was going to be the leveraged integrated content security play for them? It wouldn’t be the first time I’m confused by Cisco’s acquisition integration strategy. You will need to clean this up should you hope it matches the .PDF you first saw. Just in case you’re interested in the Keynote version, here is the link to it, also. I compressed this one. I apologize for the filesizes, I didn’t spend much time optimizing anything for these. I hope they help. I will, at some point, probably revise them to include some timely information. You might remember a post from a few days ago wherein I lambasted InfoWorld for not including security as a mainline topic for their upcoming Executive Forum on Virtualization. I was pretty gruff, but I don’t think out of line, in calling them on this point. I blogged about it, tracked down the Forum organizers’ contact information and fired off an email to Jill Martay (VP of Events) and Doug Dineley (Conference Chair) with no expectation that I’d receive a response. My friend Chris Hoff has himself all worked up. In fact Hoff is in a huff. InfoWorld folks take you up on this, but I would not hold my breath. While I obviously agree with Alan that virtualization is a fantastically interesting and relevant topic, It’s nice to know that even Alan can be wrong sometimes, too…it wasn’t a waste of time, at all. want a session with a lot of hand waving and cries of "the sky is falling. So, Alan, sometimes it’s worth a few altruistic exhales oh behalf of a secure humanity. You never know, you might get back a breath of fresh air in return. There have been no shortage of rumors, leaks and innuendo lately regarding Google’s plans for the production of the GooglePhone. Google’s made no secret of the fact that it’s shopping for platform partners as they "explore" the potential. It’s suggested an announcement will come officially after the Labor Day holidays here in the U.S.
Google has quietly made at least one acquisition that would support the case, namely that of a mobile software company called Android. Android was started by one of Danger’s co-founders and developed a Linux based OS for mobile platforms. Open networks: Third parties (like internet service providers) should be able to interconnect at any technically feasible point in a 700 MHz licensee’s wireless network. As a sign of Google’s commitment to promoting greater innovation and choices for consumers, CEO Eric Schmidt sent a letter to FCC Chairman Kevin Martin, stating that should the FCC adopt all four license conditions requested above, Google intends to commit a minimum of $4.6 billion to bidding in the upcoming 700 MHz auction. So, without the dark overlord overtones, let’s say that Google wins the auction. They become a mobile operator — or they can likely lease that space back to others with some element of control over the four conditions above. Even if you use someone else’s phone and resold service, Google wins. This means that they pair the GooglePhone which will utilize the newly acquired GoogleFi (as I call it) served securely cached out of converged IMS GooglePOPs which I blogged about earlier. If the GooglePhone has some form of WiFi capabilities, I would expect it will have the split capability to use that network connectivity, also. …but here’s the rub. Google makes it’s dough from serving Ads. What do you think will subsidize the on-going operation and assumed "low cost" consumer service for the GooglePhone. So, in between your call to Aunt Sally (or perhaps before, during or after) you’ll get an Ad popping up on your phone for sales on Geritol. An SMS will be sent to your GooglePhone which will be placed in your GoogleMail inbox. It’ll then pop up GoogleMaps directing you to the closest store. When you get to the store, you can search directly for the Geritol product you want by comparing it to pictures provided by Google Photos and interact in realtime with a pharmacist using Google Talk whereupon you’ll be able to pay for said products with Google Checkout. All driven, end-to-end, through GoogleNet. Revenue is shared throughout the entire transaction and supply chain driven from that one little ad. firmly committed to the ideals of OpenSource. Our goal, simply put, is to make a difference. We accomplish this goal in the following three ways. they can take to mitigate these threats. Look for an upcoming Take5 Interview with Lance shortly. We were chatting about the application of Honeypots within a virtualized environment and how, for detection purposes, one might integrate them into virtual environments. Lance brought up the point that the Honeynet Project already talks about the deployment of virtualized Honeypots and the excellent new book by Provos and Holz titled "Virtual Honeypots: From Botnet Tracking to Intrusion Detection" talks about utilizing virtualization and HN’s. I clarified that what I meant was actually integrating a HoneyPot running in a VM on a production host as part of a standardized deployment model for virtualized environments. I suggested that this would integrate into the data collection and analysis models the same was as a "regular" physical HoneyPot machine, but could utilize some of the capabilities built into the VMM/HV’s vSwitch to actually make the virtualization of a single HoneyPot across an entire collection of VM’s on a single physical host. He seemed intrigued by this slightly different perspective. We’ve seen some pretty interesting discussions both pro and con for production Honeypots in the last couple of weeks. First there was this excellent write up by InfoWorld’s Roger Grimes which prompted an "operational yeah, but…" from LonerVamp’s blog. So, with the hopes that this will actually turn into a discussion, Lance said he was going to bring this up internally within the HN Project forums, but I wanted to raise it here. I’d be very interested in discussing how folks perceive the notion of OHPC and whether you’d consider deploying one as a VM on each production virtualized host machine you put into production? If so, why. If not, why? How To Begin Discussing the Virtualization Threat/Vulnerability Landscape: Proactive Approaches to Managing Emerging Risk? It’s no doubt apparent that trafficking in the ideas and concepts surrounding both virtualized security and securing virtualized environments really honks my horn. I’ve been writing about it a lot lately, and it’s starting to garner some very interesting amounts of attention from lots of different sources. One of those sources sent me an email after reading some of my ramblings and framed a discussion point that I was writing about anyway, so I thought it a perfect opportunity to discuss it. Specifically, when a disruptive emerging technology bursts onto the scene with many of the threats and vulnerabilities associated with said technology being mostly theoretical, conceptual and virtual in nature, how does one have a very real conversation with management regarding what should be done proactively to (and please forgive me both ISS and ISS-naysayers) "get ahead of the threat." "I really enjoy your blog posts about virtualization security, since it’s a challenge I’m dealing with right now. The real problem I’m finding is explaining the security issues to people who don’t get security in general, and double-don’t-get-it in the context of virtualization. 1. the fact that there aren’t any common, well-known attacks specific to virtualization in the wild (guest hopping etc) is not a good thing, it’s a BAD thing; they’re coming! Am I hitting the right points, do you think? Where else can I go with this, since the "threat" is pretty much "I don’t know but something someday?" My response is straightforward. I think that he’s dead-on inasmuch as explaining virtualization and the risks associated with it is difficult, mostly because the "threats" are today mostly theoretical and the surface area for attack — or the vulnerabilities for that matter — just aren’t perceived as being there. It doesn’t help that we’re trying to build business cases to start thinking about investing in securing virtualized environments when the threats and vulnerabilities are so esoteric and by manner of omission executives are basically told that security is something they do not need to focus on any differently in their virtualization deployments. the language of and terms associated with business; why should you spend time and money on this versus, say, patch management. You better have an answer to this one: "Virtualization is going to save us money, now you want to spend more to secure it!?" Use what you have; you’re going to have to for a while anyway. Keep calm. By the time we get around to cleaning this mess up, we’ll have another pile right around the corner. This is a continuum, remember? Same crap, different decade. At least we have twitter and facebook now. getting some attention, but not the kind company executives will like. posted a long description of a vulnerability in VMware’s scripting automation API that he found. console of the guest OS. direction. But it seems to me that Burnett is on to something here. but that doesn’t mean this should be ignored. Burnett also has found a way to mitigate the problem by adding a switch to the VMX config file. So Mogull is back on the bench and I’m glad to see him blogging again. As I type this, I’m listening to James Blunt’s new single "1973" which is unfortunately where Rich’s timing seems to be on this topic. ‘Salright though. Can’t blame him. He’s been out scouting the minors for a while, so being late to practice is nothing to be too wound up about. The notion of the HyperJackStack (Hypervisor Jacking & Stacking) is actually a problem set that has been discussed at length and in the continuum of these discussions happened quite a while ago. To put it bluntly, I believe the discussion — for right or wrong — stepped over this naughty little topic months ago in lieu of working from the bottom up for the purpose exposing fundamental architectural deficiencies (or at least their potential) in the core of virtualization technology. This is an argument that parallels dissecting a BLT sandwich…you’re approaching getting to the center of a symmetric stack so which end you start at is almost irrelevant. The good/bad VMM/HV problem has really been relegated to push-pin on the to-do board of all of the virtualization vendors and this particular problem has been framed by said vendors to be apparently solved first operationally from the management plane and THEN dealt with from the security perspective. exception, so detecting if you’re virtualized won’t buy you anything. The flexibility of virtualization is what provides the surface expansion of vectors for threat; you can spin up, move or kill a VM across an enterprise with a point-click. So the first thing to do before trying to determine if a VMM/HV is malicious is to detect its presence and layering in the first place…this is where Thom/Joanna’s research really does make sense. You’re approaching this from a different direction, is all. Thom responded here, and I have to agree with his overall posture; the notion of putting hooks into the VMM/HV to allow for "external" detection mechanisms for the sake solely of VMM/HV rootkit detection is unlikely given the threat, but we are already witness to the engineered capacities to allow for "plug-ins" such as Blue Lane’s that function "along side" the HV/VMM and there’s nothing saying one couldn’t adapt a similar function for this sort of detection (and/or prevention) as a value-add. Ultimately though, I think that the point of response boils down to the definition of the mechanisms used in the detection of a malicious VMM/HV. I ask you Rich, please define a "malicious" VMM/HV from one steeped in goodness. This sounds like in practice, it will come down to yet another iteration of the signature-driven IPS circle jerk to fingerprint/profile disposition. We’ll no doubt see anomaly and behavioral analysis used here, and then we’ll have hashing, memory firewalls, etc…it’s going to be the Hamster Wheel all over again. For the same reason we have trouble with validating security and compliance state for anything more than the cursory checks @ 30K feet today, you’ll face the same issue with virtualization — only worse. protected from unauthorized access from software in another partition. Per my offer last week, I received a positive response to my query asking if folks might find useful a set of well-written policy and procedures that were aligned to ISO17799. I said that I would do the sanitizing work and release them if I got a fair response. I did and here they are. This is in Microsoft Word Format. 534 KB. My only caveats for those who download and use these is please don’t sell them or otherwise engage in commercial activity based upon this work. I’m releasing it into the wild because I want to help make people’s lives easier and if these P&P’s can help make your security program better, great. I don’t want anything in return except perhaps that someone else will do something similar. I must admit that I alluded to a lot of time, sweat and tears that *I* contributed to this document. To be fair and honest in full disclosure, I did not create the majority of this work; it’s based upon prior art from multiple past lives, and most of it isn’t mine exclusively. All you need to do is modify the header/footer with your company’s logo & information and do a search/replace for [COMPANY] with your own, and you’ve got a fantastic template to start building from or add onto another framework with. Please let me know if this is worthwhile and helped you. I could do all sorts of log tracking to see how many times it’s downloaded, etc., but if you found it helpful (even if you just stash it away for a rainy day) do let me know in the comments, please. I also have a really good Incident Response Plan that I consolidated from many inputs; that one’s been put through at least one incident horizon and I lived to tell about it. Virtualization, Business Continuity/Disaster Recovery, and more. reducing power and cooling needs in large datacenters. added another key ingredient to the mix: more opportunities for you and your peers to collaborate and share experiences. For an "executive forum" they have an interesting split-track breakout agenda; one track features case studies and the other focuses on technical presentations and panels. Not a mention of security in the bunch. This is asinine. If you’re at all curious as to why security is an after-thought in emerging markets, look no further than this sort of behavior. …and don’t just tell me that security is "assumed." If the executives who attend this two day forum walk away with a head full of fun new ideas and cautionary tales regarding virtualization and the closest thing to security they got was the valet guarding the doughnuts during the break, don’t anybody get surprised in 18 months when the house of cards come tumbling down. InfoWorld, what the hell!? How about ONE session — even a panel — titled something as simple as "Virtualization and Security – A Discussion You Need to Have." In fact, you’re welcome to at least just print out my presentation from a couple of days ago and give it to your attendees. At least they’ll walk away with something relating to security and virtualization. 850+ people from my blog already have more information on security and virtualization *for free* than is being presented at the forum. Listen, I feel so strongly about this that I’ll speak for free on the topic — I’ll pay my own hotel, airfare, etc…and you can keep the doughnuts during the break.